We spent the past 2 weeks in California. I went to the Calvary Chapel Senior Pastors conference, and got to take Jeff, the administrative pastor from White Fields with me. We had a great time; it was Jeff's first time in a Calvary setting like that, and it made me glad to be associated with such a movement, that, despite the shortcomings of men, desires to remain focused on the work of the Holy Spirit, the teaching of the Word and evangelism. Jeff drove out with us, but then flew back after the conference. Rosemary and the kids and I spent a few days in Vista and then went up to Los Angeles to visit family. The kids love our family friends up in LA and were so sad to leave. They always make us feel welcome and loved. On the way back we stopped in Vegas and visited my friend Chris and also got to meet up with Tim and Grace who we know from Europe. They planted a church in Croatia and moved back to the States a year ago. Our kids played together while we got caught up, the we went down to the strip to watch a few of the outdoor shows before hitting the road again. We drive through the night, only stopping at a rest stop to sleep for an hour, and rolled into Moab, UT at 8:30am. 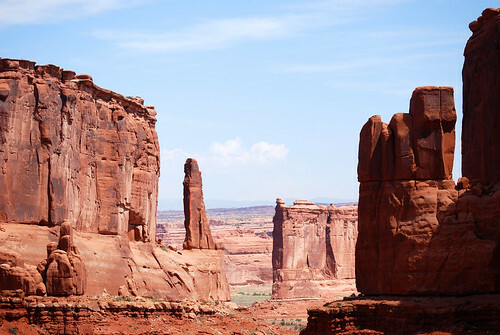 I've always wanted to visit Moab, and wold still like to spend a week or so there rafting and biking and off-roading. 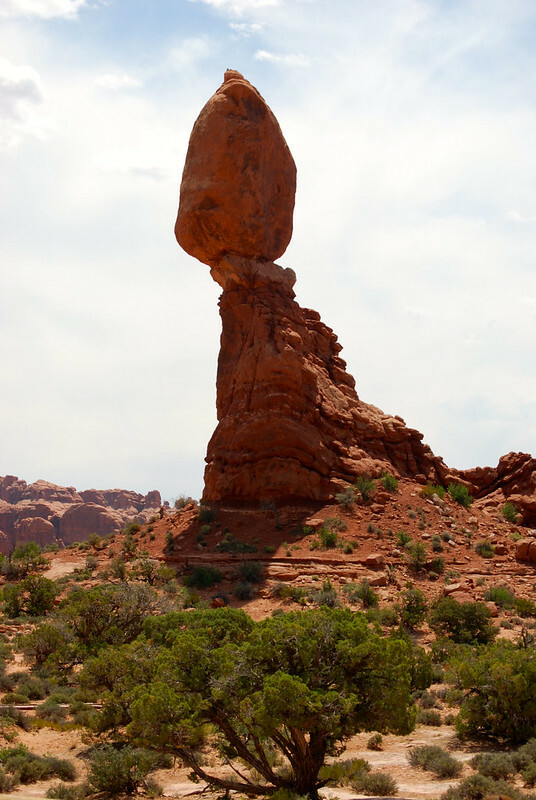 We noticed on the map that we drive right by Arches National Park on I-70, so we stopped by this time. 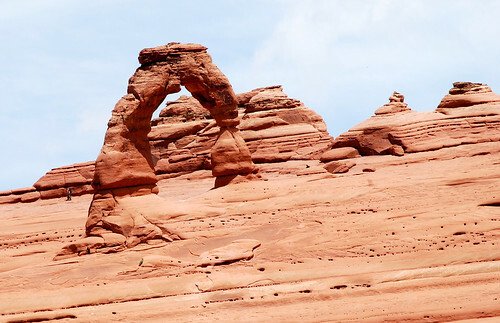 It was an amazing place, but very similar to the other national parks we've seen in Utah: Zion and Bryce Canyon, although we felt that Arches was the least dramatic of the ones we've seen. 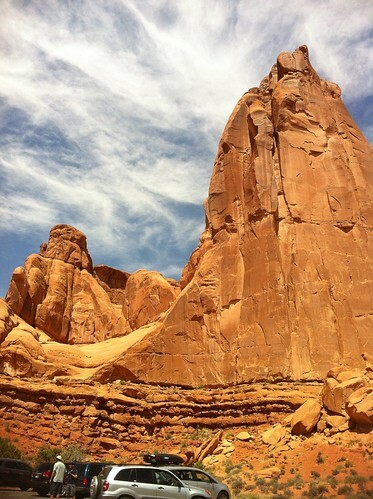 The arches were cool, but they are hard to see - many of them are remote and have to be hiked to. I was excited to see the Delicate Arch, even though we didn't hike all the way out to it.